Jennifer Murphy, head of our private client department, has defended lasting powers of attorney (LPA) after Denzil Lush, the former Senior Judge of the Court of Protection, warned they may leave elderly people open to abuse. 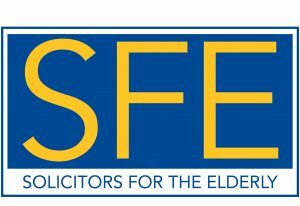 Solicitors for the Elderly (SFE) is an independent, national organisation of over 1,500 lawyers, such as solicitors, barristers, and chartered legal executives, who provide specialist legal advice for older and vulnerable people, their families and carers. We are proud as a firm, that several of our senior Solicitors in our private client department are members of SFE. Consider appointing a professional – A family member might not always be the best person to act as your attorney. Instead, you can appoint a professional such as a solicitor. They can act as a neutral third party and make unbiased decisions that are in your best interests. Bear in mind this usually involves a cost. Jennifer acts for a great number of clients under the provisions of LPAs and also acts for many clients under Deputyship Orders.